Testimonials * Martha Anne St. Claire, M.A. After the death of our darling child, Martha was one of our “earth angels” – someone who offered calming and steady words of insight, hope, and support. We will never forget her help! Thank you for the reading and mostly everything was precisely true. Thank you very much for your work; it makes me feel better. It was so precious, precisely what you said. It was so special to me. You are great medium 🙂 I wish you all the best. Thank you so much! Yes, we called him that nick name! You really made us happy. You were so spot on! Thank you for your beautiful work. I want to say I love you, Martha. I don’t say that to most people I don’t know in my daily life, but I think you will be okay with it. Thank you, Martha. That really warms my heart, everything you said. And I got a very pure, peaceful feeling after reading your email yesterday, it was like a calm came over. Thank you for your reassurance, that means so much, truly. Looking forward to talking more when the time comes. I honestly can’t thank you enough for the guidance you gave to my daughter. I showed her your YouTube video and she took a lot of comfort in it and when she received your message, it eased her anxieties to the point that those fears are now at the back of her mind, instead of consuming her constantly. Your video combined with your message have worked wonders . You have helped S. so much and I’m so grateful to you. Thank you so much for sharing your channeled writing. I just read it! I’m praying and visualizing that this will be published in a book or ebook so that millions can be inspired by this!!! Thank you! Thank you! The reading was great. It helped my grandmother a lot, too. What your said during the reading is 100% true.. I just wanted to tell you I enjoyed the hour with you very much. You are a kind soul and an extremely nice person. Thank you. We live in very special times and you have been chosen to be one of the LIGHT messengers! By the way, what you said- the “papers that need completing” I am sure refer to my job… I am an editor! And I have about 90 pages waiting for me to edit when I get into work tomorrow! My life at work consists of reading and marking papers all day long! So true you were. Thank you again for the wonderful reading. It was really helpful. I am very thankful that you are in my life. Your readings mean the world to me, and I listen to our readings for weeks after we do them, absorbing every little bit of wisdom. It was lovely talking to someone who knows what’s after this life and to put my mind at rest. I believe in all that you said and I will make the most of this life! I’ve watched your YouTube video & it’s helped me ! In our last reading you said you saw a giraffe for me. At the time I didn’t know what that meant, and I’m still not sure, but what I can tell you is that immediately after the reading I started seeing giraffes everywhere! Imagine that! The universe is truly amazing. Thank you for relaying all info and insight to me. Your kind words mean so much and thank you again for helping me along in this journey. Looking forward to talking to you again in the near future once the career trajectory comes more into focus! Thank you very much for all you have done for our family and for all info for us. Thank you so much. That was really helpful and just what I needed. Thank you for coming back to me, Martha. It is so comforting to “speak” with someone my own age who clearly sees life in the same way I do. You were right about the initial R’s. My neighbor is named Rebecca and our neighbor who passed away is named Roy. I feel something has been lifted from me as a result of your healing time. I feel strong. Thank you so much! Thank you for the reading. It healed the relationship with my father. It’s me again. I just wanted to write you to tell you that there was something about your reading which is probably right, which is going to happen in the future, and which I think is great news. It’s related to that sentence you told me about seeing a train, meaning that there was going to be movement in my life, and that it was necessary. Well, a few days ago I found a great opportunity to finally move away. So this is it, I wanna thank you once again for your reading, because it’s true, some things seems to fall into place later, and I’m thankful that you did it for me. Now I feel much better though and I think I’ve got a much more realistic view of myself, of life, and of what I am capable of achieving. I also think you were spot on about other things as well. Also, I wanna thank you because it reminded of the great soul I am (not trying to be too proud or anything). We looked again and the coins were there! You, my dear friend, have the best instincts ever! I just watched your YouTube video from 2008! But the message is still fresh and clear. What I appreciated was that your message was so simple, straightforward and sincere. I really liked your beautiful natural energy. You are the most beautiful and inspiring Angel and I can truly feel your loving connection with the Divine. Sending you blessings and love, in abundance. I SO appreciate what you say – everything. When you talk straight it straightens out my soul. Thank you for being human with me, and real and kind and collegial – I really need that. You know how to be kind – you have a gift for it, and light flows through you – it has lightened my load absolutely to have your input on these last times, and your understanding as well – like a beautiful clear moon on a cold day, but shining more brightly and shedding a clear warm light on all the night around. Thank you for your soul, for yourself. I’ve relistened to our previous session twice and after each time I’ve had a very spiritual moment. Looking forward to re-connecting! Martha- you are the bringer of comfort and peace in the face of loss – not only to me but a number of others, “believers” and skeptics. What you’ve said about my mother in spirit is life-changing and you are profoundly blessed. Please add my testimony to your site!! Sending my heartfelt thanks for our very special time together today – and for sharing your sacred energy with me, on behalf of the divine realm. I felt overwhelmed by your kindness, insight and guidance – and by your grace in providing divine clarity for me, in so many ways. I especially thank you for opening the way to connecting with my beautiful mother in spirit and the realisation of the many beloveds who care about me, and are watching over me from behind the gossamer veil. I am most grateful to have met you and I look forward to attending your ‘book signing’ in Sydney, in the not-too-distant future! And so it is…! Thank you so much Martha Anne. You have a beautiful gift. I will spend the next few weeks pondering everything that you have told me and will also make time to sit outside with that legal pad and see what may come to me. I saw your Youtube video last night (In the Realm of God) and it was so enlightening. Thank you for your thoughtfulness. Let’s set up a session. Thank you so much for the reading! I really enjoyed it and found it very helpful. It’s strange for me to think of you and my mom in contact like this – I would think that she would “get” how much help and comfort you have been over – it’s been years now! I hope dearly that she is able to send you comfort from “home”!! About balancing the children on her knee is right on – especially with her very young students – she would sit close to the piano with her arms around each side of the child, playing the piece and singing along. My mom wanted a certain student to have essentially all her music – it was a very important relationship for him, being so young (he’s now just 29) and it’s been since I think maybe his late teens that he’s known her and he said that he accepted what you said, “without hesitation”. See how much peace you’ve brought? I want to thank you again for the beautiful reading you gave me about my cat. I have read it again, now that he is gone, and I understand it better and I find comfort in it. You spoke of lungs and a year later that is why I had to let him go. He did not have enough air. Thank you again for your good work. I went to an event last night hosted by a medium. Martha, she was on the same plane with you. This event was sold out. There must have been close to 800 people. The room was packed. She would channel in spirits and talk to individuals in the audience. Well she honed in on a woman sitting behind me who recently had lost her son. She came over and was standing in front of me. As she starting talking to this woman, she stopped in mid sentence and looked down at me and said that I was an ancient soul, that I was a Shaman & medicine woman. She saw Native American and that I was on the same plane with her. She also felt an older woman was there with me and a younger person which was my brother Larry. I was blown away by this. The fact that she found me in this huge crowd and she mirrored your reading!!!!! This brief meeting with her reinforced your great reading. You truly have a gift, and I am so happy I found you!! wanted to thank you again for your generosity with your time yesterday. I really appreciate the session, it was very helpful to me. Just want you to know our last reading was dead on! I was concerned about T’s sister, Grace. You said you saw things changing a lot in September. Boy, we’re you right! She is in Malibu at a treatment center. Has been there since early September. The difference is amazing. I am so grateful. I hope you are well. T. has been very busy of late. Would love to do another session. Thanks again for sharing your amazing ability. Oh, this is so fun! Thank you Martha! It was so worth the wait. I just read it and LOTS of it rings true. One piece of information you sent made me laugh out loud. My first daughter was born with an unbelievable pair of lungs on her. She was the loudest newborn on our floor. We all just marveled that such a sound could come out of such a little being. When my Mom met her, she was a week old, and she could not get over her voice. Two of her teachers have sent home comments on her report card about her rich, mellifluous voice! She’s ten now, loves to use her voice to perform, never needs a microphone, and belts out notes at totally random moments at home as loud as she can. Yes, I can imagine she’s our previous opera singer that you mentioned when you said one of my daughters was a great opera singer in a former life! You were very sweet. I can’t wait to re-read and re-read the reading. Thank you so much, Martha Anne! I listened again and again. You’ve brought me great comfort and peace. I want to say that I think you are amazing and did a wonderful job “tuning into me.” I have had other readings when a very young girl has shown up in the reading, just like now when you picked up on her. Anyway, more later, but I wanted to immediately let you know how amazing your talent is and that I would definitely recommend you to people. Thank you for answering my questions. I really benefitted from our session. You’re so upbeat and I can tell you’ve been blessed from the near-death experience that you had. There is a definite difference in one that has had a NDE experience. What a blessing of grace that is. I’ll be calling again. I want to thank you for the recording of our session . I listened to it today. I’ve had a few raw emotional days- listening to the reading really helped re-center me and see what is really important. I want to say the amount of gratitude I have for you and your work is deep and its impossible for words to illustrate the healing and guidance you have blessed me with .Thank you! Thank you so, so much Martha. You are truly a really beautiful person. You have no idea how much this meant to me. I got goosebumps. And it’s exactly what my therapist told me. Wow!! I have been greatly comforted by our session in regards to D. It was great. I feel like I had a phone conversation with D. yesterday and others; I am especially curious about the little cherub and “R” spirit. What a gift you have. Thank you for sharing it. Many, many thanks for a beautiful experience and your blessings. Thank you so much for the email reading. It really helped me to clarify some things and to open new ways of thinking about certain things. I appreciate your help very much! Amazing! We had a border collie from the time I was 6 months old until she passed on when I was 15. She was such a wonderful part of our family. Loving and protective and loyal. I really miss her still to this day. When I read that I was suddenly very aware of her presence. It was such a good feeling to know that she is still with me. You really got my personality very well and that life has been hard sometimes and yes, I do keep on keeping on. Also, what you said about being wronged in some way and the scapegoat comment spoke to me. It seems like I have often had relationships in which people want to blame me for what they feel or how their lives are. Yes, you got this rightalso: I AM really sensitive and I do pick up others stuff. I read what you said about my home situation and it all makes sense. I just wonder why that certain thing keeps happening, so, when you said; “I feel like part of you, maybe subconscious or maybe conscious feels like why do things always happen to me or why did such and such happen? And of course one would wonder with good reason.” – that makes sense! Also, when you mentioned a “stalemate”, true and it has to do with my daughter. It is funny; the day before you sent the reading I thought to myself; “I am going to back off a little bit and let my daughter come towards me, when she is ready to do so.” And then you said; “I don’t get anything else you need to do, but maybe back off at times.” Yes and so cool! When you said; “Have you felt like you are paying your dues or have had to in this lifetime? Seems like you are finishing up a cycle and headed into another. I get this image almost like clothes have gotten too tight, symbolic of you are needing a change of some sort and I hear rounding the corner in some way, or will be, a good thing.” YES! Again, that really spoke to me. I loved all the things you said about past lives which feels so right and made me laugh. I smiled because it ALL made sense for me. The native Indian female guide is my great-grandmother J. And the baby is my sister’s son that died when he was only a few months old. And I feel so blessed to have Angel Michael and St Francis with me and my aunt. I hope you are not thinking “wow, that is a lot of feed back.” I wanted you to know how helpful it all was. I also loved that you used the phrases “keep on keeping on” and “freak out”, because I use those phrases a lot and it made me smile and me feel like a kindred spirit. Thanks so much for helping me. I really appreciate you! Feel free to use this, just change my name please. Thank you!Your reading opened up a channel for me with my art! I really enjoyed our time yesterday. Recall you said Diana in spirit was showing you someone whose name started with R? Now that I think about it, her sister-in-law’s name is Ruby, but she goes by Dee. Also, someone in my extended family died yesterday; his name was Ryan; maybe you were picking up on one of these people. Thank you for all your help. I would like to stay in contact with you. Thank you, Martha, soooooo very much for today’s reading. I can’t tell you how much validation you offered. It really put some wind in my sails, in order to start riding the waves of life again. I was struggling so much with my personal/spiritual beliefs. Thank you thank you thank you. Thank you sooo much for your kind response! It really helps. I found you because I have been watching a lot of NDE videos lately and came across yours. Your video is truly inspiring. That is an amazing experience you had. Thank you for your prayers, Martha. Again, I can’t even express how much closure this reading has brought me. His words really reflect his personality and I can picture him saying all these things. It’s really amazing to hear from him and to get advice from him even in the after-life. Thank you so much for that! Thank you for your reading it was very helpful and effulgent. I was thinking about what you had said about the kitty that passed, traveling with me to the country. He did travel with me to the country several times. I had forgotten. He very much enjoyed it especially the last time I took him there to see his brother. So, I am happy he remembers. other than his brother Rusty (still living)? Well Saturday night I had another dream about Paul and in this one all his siblings and myself were there and we were all just hanging out with Paul and I got to hug him for a long time. I came wide awake and immediately said it’s Randy. Randy is my brother who passed away many years ago and why I did not think of him during our session, I just don’t know. Randy was not in the dream or even mentioned but somehow Paul let me know that he was with my brother. I realized from that dream that Paul will always be with us. I still grieve and there are still tears but I know that Paul will always be close by. Martha the comfort and hope that you are able to give is a very special gift and I thank God for you. Thank you again Martha. I have already listened to the recording twice. I feel more of a sense of peace about P’s passing now. In my heart I knew that he was OK. I just needed to hear it. I think this has been so hard for me because I felt such a strong connection to him. My daughter and husband reminded me of an acquaintance that passed a few years ago whose named was Elizabeth and was part Native American. She had also given me a dream catcher that she had made that I had hanging on a mirror next to where I was sitting while we were talking during the session and I kept glancing up at it. I had not even thought of her since we were not really close at all. Something else that went over my head was that I have a 16 year-old Chevy Tahoe and you mentioned about that. Thank you again, Martha. I would like to do this again in the near future. You really made a big impression on R! He really loved the session with you.He felt it was so very valuable….it really lifted his spirits. The contact with his son really helped lighten his heart. I loved listening to the recording as well; what an amazing channeler you are! It’s certainly a gift that seems to be bestowed on only a chosen few. And now of course I want a session with you! How much notice do you need? Hope you’re having a nice weekend and of course, stay in touch, my friend! You are very gifted to say the least! You are so accurate and it is hard to believe you received so much information from a short email and two photos! As I read your reading, I got chills a few times from the truth ringing in. At the end of reading it all I felt like crying. Crying for joy and relief on many levels. THANK YOU for ALL the confirmations that I really needed to hear at this time. I also appreciate how much information you gave me which I realize is way more than 20 minutes and your generosity is very appreciated. Eternally grateful & God bless!!! It was such a comfort to hear from Rex in spirit. Thank you so much for everything you assisted with and the information you imparted. I really want to thank you. I thought about things after the reading and reached out to my ex who I spent some time talking with yesterday. I needed validation that she was not the one for me in order to feel ready to let go of something that has tied me for the past ten years. It was invaluable for both of us. I was really really close to my grandma – her name was Isabel (not Elizabeth though). However, my mom tells me her real name was BELEN! That is so funny- that is who you were talking about when you mentioned the names! It makes a lot more sense now to me. Just to clarify…during the reading I thought you were referring to my GREAT-grandmother, Belen—but today my mother told me my grandmother was also named Belen but went by the name Isabel (everyone called her Izzy – definitely close sounding to Elizabeth). I was very close to my grandmother Isabel/Belen (not my great–grandmother who had died when I was a month old). In our session you said someone that was “uncle” or “uncle-like” came through and said he was checking in on me from time to time and that he wanted to help me “build a house.” i kept thinking it was a grandfather and you right out asked if I had an uncle that died recently and I said no. You also said that he was on my dad’s side. Well, I told my sister about the reading and as I was explaining that part of the session, she said- Uncle Del. My great uncle on my dad’s side passed about eight months ago, which I had totally forgotten. I thought this was funny because in our first reading my grandma came through and you said the first part of her name and it didn’t register and when you finally asked me both my grandmas names, I said the one named “Annamae” and it clicked and we both started laughing and so… just wanted to let you know you were indeed accurate and once again it’s me absent-minded. I loved being with you, too. I always look forward to our readings. It’s become almost a yearly treat for me. You are so insightful and really have always helped to put things in perspective for me. That is an understatement really because I fully can’t express how your sessions have helped to evolve my internal and spiritual growth. I consider you to be a mentor in a way, helping me with such trials that no one including Google, etc., LOL, have been able to even touch! I hope my appreciation resonates in that I am so grateful to have crossed your path : ) You are welcome to share this with others. You were so, so helpful today. My soul feels recharged to say the least, so thank you! Your reading is so accurate it made me cry when I first read it. Thank you so much for the reading as well as the audio file. As you said it was clear and it made more sense when I listened to it the second time. Everything you said made sense to me. It is with great joy that I write to ask if I may connect with you via a telephone session, please. You are the most beautiful and inspiring Angel, and I can truly feel your loving connection with the Divine. I would very much appreciate some clarity and insight into my life at present – and in particular, a project which I have been working on for some time, and which is very close to my heart – but I thought I would write to you first. I look forward to hearing from you, and to speaking with you – once I have made my payment via your website, and arranging a time that is convenient for you. I especially thank you for opening the way to connecting with my beautiful mother in spirit, and the realisation of the many beloveds who care about me, and are watching over me from behind the gossamer veil. You are also in my thoughts and prayers as you embark on your own exciting journey to Stanford University Hospital, where there will be many souls in need of your loving insights and healing. I am most grateful to have met you and I look forward to attending your ‘book signing’ in Sydney, in the not-too-distant future! And so it is! I saw your youtube video last night and it was so enlightening. Thank you for your thoughtfulness. Let’s set up a session. I want to thank you again for the beautiful reading you gave me on my cat. I have read it again now that he is gone and I understand it better and I find comfort in it. You spoke of lungs and a year later that is why I had to let him go. He did not have enough air. Thank you again for your good work. I saw the video on youtube on you sharing your NDE and I believe I also remember seeing you in a discovery channel (I think) documentary many years ago about the end times i believe, when I was just a little kid. I just wanted to take the time to write a quick email saying thank you for sharing your story. Now I know that I have nothing to worry about because as you said, everything is working out in its perfection regardless of what you do or where you are in life. Every now and then I get those hopeless spells but I refer back to your philosophy you stated in your video. I just wanted to say thank you and may God bless you! I saw your video on youtube describing your NDE. My father passed about a year ago and your video was comforting. I don’t have a good many things figured out yet, but I am glad you chose to come back to share your story. We need more souls like you here on earth. I went to an event last night hosted by a medium. Martha, she was on the same plane with you. This event was sold out. There must have been close to 800 people. The room was packed. She would channel in spirits and talk to individuals in the audience. Well she honed in on a woman sitting behind me who recently had lost her son. She came over and was standing in front of me. As she starting talking to this woman, she stopped in mid sentence and looked down at me and said that I was an ancient soul, that I was a Shaman- medicine woman. She saw Native American and that I was on the same plane with her. She also felt an older woman was there with me and a younger person which was my brother Larry. I was blown away by this. The fact that she found me in this huge crowd and she mirrored your reading!!!!! This brief meeting with her reinforced your great reading!!! You truly have a gift and I am so happy I found you!! Just had the most amazing email conversation with A. – truly healing; I cannot express my gratitude and I wanted to thank you again for your generosity with your time yesterday. I really appreciate the session, it was very helpful to me. Just want you to know our last reading was dead on! I was concerned about T’s sister, G. You said you saw things changing a lot in September. Boy, we’re you right! She is in Malibu at a treatment center. Has been there since early September. The difference is amazing. I am so grateful. I hope you are well. T. has been very busy of late. Would love to do another session. Thanks again for sharing your amazing ability. I want to thank you for the recording of our session. I listened to it today. I’ve had a few raw emotional days- listening to the reading really helped re-center me and see what is really important. I want to say the amount of gratitude I have for you and your work is deep and it’s impossible for words to illustrate the healing and guidance you have blessed me with. Thank you! Thank you! Your reading opened up a channel for me with my art! I really enjoyed our time yesterday. Recall you said Diana in spirit was showing you someone whose name started with R? Now that I think about it, her sister-in-law’s name is Ruby, but she goes by Dee. Also, someone in my extended family died yesterday; his name was Ryan; maybe you were picking up on one of these people. Thank you for all your help. I would like to stay in contact with you. Thank you very much for taking your time to reply to me. It’s good to have people in the world that care about others. You said some things that will help me, thank you for that! I have been wanting to email you since the very minute that we finished our session on Friday. Martha, I want to tell you how very much you helped me; how very very accurate you were with your observations. The more I think about some of the things you said the more I am amazed and THANKFUL – these are real blessings that have helped me in an instant change my thinking about some things and given me new direction. Martha again, thank you so so much! Thank you, Martha Anne! I feel like you really helped to elevate my spirit when we talked yesterday. (That’s why I haven’t written back until now; I’m still digesting it all!) But wow! What a great reading and what an amazing spirit you are! I just wanted to say thank you for sharing your beautiful gift with me and all of your kind words and healing prayers. I’m very glad I got in touch with you—it felt like talking to a lifelong friend. Feel free to use the above as a testimonial. Every word of it is true and thanks again. I spoke with you on April 25. At that time I was interviewing for a job with another company and up for an internal promotion and was thinking I would be choosing between the two. You saw otherwise, said neither would pan out and that you heard that I should “stay on my horse”, but that I would get to the end of a road and it would stop. Both the jobs prospects went away and my company announced layoffs today. You were exactly right! You saw that I would be OK and there was financial abundance awaiting me. So far, everything panning out. Not sure about the “abundance” yet but considering you’ve been so accurate, I am so much more peaceful than I normally would be going into a layoff situation! Thank you for your guidance! Martha truly helped me and provided a stunningly accurate reading about my past lives, my personality, my talents, my issues, my surroundings… and confirmed many things I knew intuitively. Her reading was valuable and most helpful in the fact that it made me trust my inner voice and encouraged me to look for the strength within to find my way in the uncertainty of everyday life. It was reassuring and it was like Heaven told me what I needed to hear, not what I wanted to hear and that makes it truly genuine. She was very generous with her time and talents. Thank you so much for taking the time out of your day to speak with me yesterday. I felt as though we were long lost friends who were happily reunited! I really sensed your powerful connection to spirit and was so grateful to you for your intuitive reading. It has given me plenty of food for thought and also has opened me up to a wider set of possibilities for my life. I just wanted to say a big THANK YOU again for everything, Martha! You helped a whole lot!! I really appreciate all the time you spent too, even going over time. And being patient with me. I am so grateful to you, and that we met! Guess what? You answered ALL my questions I’d written down! All my love to you, Martha! I just finished reading a little about you through the NDE website for which I have been blessed enough to locate. You are a very special person and I wanted to thank you for your contribution. When i came to you, my life was full of apprehension and fear. I didn’t know which way to step or turn. Yet, after speaking with you, I finally found peace, resolve, direction, confidence, and positivity. Mostly, now I can at last FEEL that God is constantly unconditionally Loving toward ALL all of us…and that includes me. And, that this is forever. Always. No matter what. And, no matter when. I always “knew” this, but had a difficult time “feeling” this. Somehow I forgot, but you reminded me and remedied all my doubts…helping me to reach a higher awareness intellectually as well as emotionally and spiritually. Your words provided insight, wisdom, encouragemnt, enormous genuine assistance, and the Light’s truth. So, I am so happy and grateful that I did end up opening myself up to the healing you inspired and really offered. I insist that others trust you fully too, coming to you with an open heart and mind–because you’ve been blessed with a gift of service that is surely good, holy, and utterly effective. I send you love! Thank you for being here! Every time a meet an NDEr who came back from heaven, I feel I have located one of my missing parts! I shout across the universe to you with great joy that comes from feeling the Kingdom so close at hand! YOU are one of its useful hands in this world — a window of His light and love into this vale where most of of have forgotten what we are FOR!! May you never know anything but the peace and overflowing JOY of the surrendered heart that remembers what it is FOR! Love to you Sister! Thank you! I saw your Youtube video tonight, In The Realm Of God, and of all the NDE videos I have watched, yours was the only one I attempted to find more information on. I found your website and what you do and also read your testimonials. I find myself moved to request a reading with you. I’ve never interacted with anyone as connected to the spiritual realm as you seem to be, but I’m open minded. I’m sure you are very busy but when you have time I look forward to learning what the next step is in this process. How very beautiful! I deeply appreciate your sharing of your profound near-death experience on Youtube, as I, too, experienced something very similar at age 22. Your video came “by chance” at the perfect time this morning. I can’t wait to hear the voice I heard on your Youtube video speaking live and to ME! I watched your interview on the short film, “The Afterlife” and thought it was simply amazing. I just wanted to say that I hope you continue your research and also continue to counsel others also. Thank you for your studies and interviews, as I feel no one really understands me when I talk about my NDE, but I know that you do. Please take care and may God continue to bless you! Now I do remember a blonde little girl just as you described it.. when I moved into this home where I live now, every night I felt the presence of a little girl and if I pictured her, she would be a blonde little girl with long curly hair and a blue nightgown. Later I heard that the people that lived here before us had a baby that died, so I thought that she was that baby, and now I think she came for me sixteen years ago and in your reading, too. I have read your site and see lots of people are gratefull for your readings. I saw your photo and you look so familiar with such soft energy in your eyes and so much positive energy around you. Thank you more than I can adequately express for being part of my life and a catalyst for whatever comes next! A number of opportunities have come to me “out of the blue” recently and I really do feel that the openings have in large part to do with your help – maybe most significantly your willingness to help all those around you. It must be at times a big challenge to be pulled in SO many different directions at all times, and to keep your humanity, realness, and goodness in the midst of all this is a remarkable feat. I hope this year is bringing you peace and many messages letting you know: Well done, and Thanks! From all of those who you’ve touched and the fractal spread of all those beyond. Your NDE video was so wonderful. Have you written a book? If not you should. More people should hear your experiences; you bring hope and joy to their lives. What a dear wonderful message you gave! Thank you so much; your words have given me comfort. Best to you, my friend. Keep sharing your bliss! I saw you on a Youtube NDE video and I was really touched by your message. I heard a lot of what I felt was truth when I listened to you. Your words are beautiful! So spot on! Thanks so much! Your words have helped me more then you know; everything falls together now and the path that is being shown to me now is a path I must walk alone for a while to seek my inner strength and not to make me small and let others choose for me. It is time to take my life in my own hands and to listen to my heart instead of my brains as you said and so much more. You were spot on, EXACTLY, about my missing laptop and my pearl earring which I found! Thanks for being spot on again, about my lost wallet! Thanks for replying. I found it! It was in a deep pocket of the car door that I hardly ever put stuff in. YOU WERE RIGHT! The pants never made it home from Nordstrom alterations even though I was positive I’d picked them up and put them in my closet. You were right when you said they never made it to the closet! They just called me. My name is Geraldine and I just watched your video on Youtube about your NDE, In the Realm of God. I guess your wondering why I am writing you; it’s simply that after seeing your beautiful face and hearing your story I feel the first glimmer of hope I have felt in a long time. The info about my husband is so right-on. I am going to spend some time pondering it all. Thank you for the additional information, too. I know that was above and beyond on your part. I cannot thank you enough for taking the time to write back to me. I wrote to you directly after watching you’re video and I searched for you. I am more than thrilled to know I will be able to set up a phone appointment and I am so excited to talk with you. Your heart is so beautiful and I appreciate you taking time out of your day to return my email. I cannot wait for your next return email at your earliest convenience. And I thank you so much for sharing your story. I did not thank you for such a great phone session. The session not only brought to light what Fern, my beloved dog, is going through, but it brought to light my journey with her – past and present. I can’t thank you enough for your talents. It has helped me put a lot of things in perspective. Thank you for all the information you received for me in my session. (I hope you are getting a well-deserved rest. You are so beautiful, inside and out!). I am in the process of digesting it all. Quite interesting. You told me I lived in France and Egypt in past lives. In my home I have Egyptian things and my furniture is French Provincial. I definitely have an affinity for all that you said. Thank you again for the peace you have given me! Anyway – YOU are a beautiful cat and I feel profound gratitude for your help. Still raw, but NOTHING compared to what I would have been without your help. Not even the same neighborhood. It’s your gift, AND your heart. Something else I think you should know, from me – your gifts are amazing, but not the most wonderful thing about you, I think – or rather those gifts, it seems to me, are a beautiful, complex, and magical, driven by your fire, and heart and courage!!! Thank you for sharing your gifts/talent today! I am happy that I chose to experience this with you. I really didn’t know what to expect but perhaps that some Cosmic energy would just give some sort of insight into things. But for some reason the fact my mother and father seemed to immediately come through was both a surprise and very meaningful! My father and mother had been married for about fifty years when she passed away suddenly of a stroke at age 80 in September 1991. My father died in 1998 after a series of strokes and other problems at age 92. Your reference to their being in different heavenly places and his saying he was honored to have me as a son meant a lot to me. Also, his saying he regretted he was not as good as an example as he should have been was also poignant. It was reassuring to know that apparently I have for the most part done well with my life and maybe too hard on myself. And the reference to the butterflies and other things were right on. It seems my entire life has been spent taking care of and being in selfless service to others. I really yearn for those carefree fun and pleasures, but it seems that most of the time my destiny is about responsibilities to others, and suffered the choices of others. I am not really complaining, but only to verify the general message you were conveying as accurate and meaningful. I have a feeling that additional future readings will certainly happen! Thanks again Martha…you too are a “Sweet Soul”!! when I was a little girl Grandmom loved butterflies and kept lots of decorative glass vases that had butterflies inside? Grandmom loved butterflies and I always loved looking at them.” I had long forgotten this! It’s been such a pleasure getting to know you and experiencing your wonderful gift. Thank you for sharing it with me in our sessions. I wish you the very best. I will get in touch with you down the road. I watched your YouTube presentation of your near-death experience, In the Realm of God. It was tremendously inspiring and encouraging. Thank you very much for spending time with me this morning – I am so impressed with your wonderful ability to help others. I was very comforted to experience a connection to my grandmother and brother in spirit today. I appreciate all your advice and insight – and I am looking forward to another session soon. There’s a bit more I want to talk about and learn. Again I’m recommending the beautiful work of Martha St. Claire. She just helped me with a very hard and painful situation involving a pet – bringing comfort with a depth of humanity, kindness and knowledge and validation through providing detail about the situation not communicated beforehand in any way. She is providing psychic readings and if you have NO beliefs at all, she may indeed surprise you and if you are seeking comfort, knowledge, guidance then read on. Martha’s profound kindness and instinctive heart-based ability to connect with people (and animals) alone make her a cherished friend, but her gifts of knowledge and insight are rare and exceptional and of the greatest help. As for your incredibly insightful reading, I felt like so much of it was right on target with how I feel. It was just so deep and so personal. It gave me hope. I can’t tell you how happy it makes me; your insight has helped me feel more sure about everything. I really enjoyed the reading. Again, thanks so much for your assurance and insight. It’s just the inspiration that I needed and you are indeed very accurate.. I found the pearl earring wedged between two slats of wood on my outside porch! Just EXACTLY as you said. WOW, HA. I have been going over and over our session. I cannot tell you what a difference you have made in my life. I feel like a switch of hope has been thrown on! I had so many doubts about the reality of life after death. My heart knows it is so but my head wasn’t sure. You are so incredibly gifted. I still am energized by the love and positive energy you sent during our session. Also, I wanted you to know that my father came through the cardioversion beautifully, as suggested. I send massive amounts of love and good wishes to you. Martha provided a very compassionate, healing confirmation regarding the circumstances around the loss of my father. As a medium, she delivered the information received and helped me decipher the intended meaning. She is a very caring person and was able to validate much of what I had hoped for and intuitively felt. I hope you are doing well. Thank you again for sharing your gift with me. I’m in awe of your abilities. Is it common to feel different after a session? I seem to have calmed down quite a bit since we spoke. It feels good and I pray I feel this way on a regular basis. I am amazed about what my grandma in heaven told you. So accurate. I’m really not sure what I want to focus on, but I have a strong urge to speak with you once more in the near future. Thanks so much. What I see is a tower of strength in you who on her own, not only takes care of everything for herself but finds time to help others. What I see is someone who changes people’s lives by your insights and gifts. I see empathy for others, including animals. I found your video tonight on Youtube. I found it to mirror much of what I personally believe about life and death and felt you were very genuine. I recently saw your NDE video, In the Realm of God, on YouTube. I was so touched. I could not get you out of my mind for a couple of weeks. I decided to try to find more info and here we are. Thank you Martha. You went above and beyond today. You are in my prayers. Thanks for your help and guidance. I’ve been praying to the angel you mentioned and feeling more inspired. A few weeks ago a friend who is intuitive said she saw a beautiful woman, not from Earth, but from another realm coming to help me. Could be the one you saw, too. Thanks so much for the consultation today and for all of the information which is very helpful. It was nice to get confirmation in the reading today! My telephone sessions with Martha were incredibly enlightening and transformative. Her connection to spirit is very powerful, real and profound. She has a wonderfully warm and friendly way of communicating the messages that she receives. I highly recommend contacting Martha if you want information, guidance, or direction from a source that is truly genuine and filled with love. Thank you so much! You are such a gift! I live in Spain. I saw your fascinating NDE video on You-Tube the other day and I was so inspired by all the great work that you are doing that I decided to have a reading from you. Thank you for the phone reading a few months ago. I think often of your words about my past lives; very cool stuff. Your encouragement really helped me in a tough spot in my life. I am still amazed that the back pain I had suffered with for months was instantly gone after our reading and still has not returned! Thank you! You were right!! I went back to the same Starbucks where I asked three times before about my computer. A barrista there had put my lost laptop away! It probably was under a coat for awhile, just like you said. I was in ecstacy and I am still very grateful for your help. Hope you’re doing well, my best prayers for you. Guess what! There are rose bushes all around outside my new apartment! Remember what you said to me about roses in my future meaning or confirming something? Ha! I was touched by your wonderful NDE video. Gives a sense of hope to everyone living on earth who suffers through the loss of a loved one, life’s hardships, or financial problems. To know that we are all loved is pretty cool. Just to let you know that I directed my FB contacts to you and your work. And truly, feeling a nice glow! I saw your YouTube video and was impressed enough to want to reach out and say hello. Thanks so much for your generous time! I think that what people most look for in a reader is the general tone and the ability of the reader to pick up on specifics in an unguided, unclued way. The reading you gave absolutely provided both. Your assessment of me was extremely encouraging and accurate and so, the specifics will be a foundation and reference for me to use to generate much needed hope in the weeks to come! Impressive specifics: all the flowers around my aunt in heaven (absolutely right! ), American Indian guide, tie to Brazil, reading of my friend’s character – all without clues from me – very specific and right-on. I will be letting some friends know about my contact with you. So again, thanks for having chosen to accept and nurture your own abilities. Please know, or rather please allow me to bring again to your attention that your choices have mid-wifed shifts (certainly in me) which will now ripple both inward, outward. Thank you, thank you. Namaste!! Thank YOU, Martha! I am just in awe right now. I was not expecting some of things you said.. I wanted to let you know how absolutely happy I am to have been led to your services. I’ve had other readings and have been given guidance over the years, but I can say that yours has a value that is worth more to me than I can tell you. I thought it was funny that every question I had listed to ask you was addressed right away and I had nothing left to ask because you had already hit on everything I needed! I was overwhelmed and brought to tears more than once while we spoke, and the more I think about it the more grateful I feel. I hope you know how much you are positively affecting this world with your gifts and I pray that you will be blessed abundantly for all that you do. Now we have been told that our precious pup does indeed have a bone disease issue and not cancer or anything like that, just like you said. Thank you for your help and prayers. I wanted to thank you again for the wonderful session. It felt transformative and I truly appreciated what you shared so generously. You have taken such great time to offer support to me. There are no words to thank you for this. I feel such great love just like you told me. This is so true! People have been reaching out to me in such beautiful and tender ways. It makes me feel that I am not alone even though I do feel that, during this period of grief in missing my beloved husband so. Your explaining what you sensed with Ched was so appreciated Martha. You stated a grandmotherly figure was with him. During his time at the nursing home, Ched called me over to his bedside and whispered that he saw his grandmother in the corner of the room. He said she was floating and she was smiling at him. I watched his face as he was looking at her and I will never forget the sweetness in his face as he was looking at her. So I presume what you “saw” is probably his grandmother. Another spirit you saw, possibly a “son-figure” I believe is someone we knew almost as a son. Our best friend died in a plane crash and his son never could accept his father’s death so he committed suicide. I truly believe it was this spirit you saw. How comforting to know that Vince was there for Ched. You kept seeing the color yellow for some reason. Yellow roses were my favorite flowers and Ched always knew this. He would always order yellow roses for me for special occasions. How comforting this made me feel!!!! You said “the best is yet to come.” Martha, the ONLY THING I am looking forward to is for God to open a door for me with my “mission” for Him. That brings me such hope!!! Thank you!!! Your help was so comforting to me Martha. I can’t thank you enough for channeling spirit’s message for me. This helps me so much. Thank you! I plan on praying that God will return His blessings to you in whatever way is for your highest good. Your love for me should be returned to you in the most powerful way possible – that which is beyond my ability. That is why my prayer that God will personally deliver a blessing for you shall me foremost on my mind as I lay my head upon my pillow this evening. Thank you so much for your clarity today. I was able to let go of a burden I didn’t need to carry. My trust in your true vision has helped me to do this, for it’s not everyday people can find others who have true knowledge. You are a blessing–I’m so glad you chose to come back to Earth for all of those you’ve helped. Thank you again for the reading. I really appreciate all of the warm feelings and information. I slept last night and my back is feeling better. I love your video on Youtube that I just saw and I believe every word. Intuitively I experienced your experience when you spoke. It turned out just as you said it would! Awbrey came in 5th-6th place in her television debut- singing contest in Japan. I couldn’t figure out when you said it, how that could be, but she tied with another. Thanks! Thank you so much, Martha, for all of your precise insight! Your reading really helped me get some perspective on how things are unfolding. I feel like what you said is true in many ways, especially about forgiving myself. You are also right about the transitional stage and that so many changes are happening for me. Yes, I can completely see myself being a musician in a past life since music is just a huge part of who I am. Also, no wonder I am fascinated with ancient Egypt! How great to know I was part of it once. It also makes so much sense that I have had lives in Japan because in this life, I have been to Japan many times and the culture has had a huge impact on me. I’m glad that you included some information on past lives because it seems like they do affect the way we live in this lifetime. And yeah, I can be a huge ball of fire sometimes. In spite of your busy schedule, you still find time to answer all of your emails and touch everyone’s lives with such encouraging words. You are truly amazing. Thank you for this very nice email message. I am so happy to get it and it made me feel good. It’s funny you mentioned the “Sound of Music”, since I watched it on my flight three days ago and for some reason it made me cry more than once. I will read this more again in the next few days and it really means a lot to me. You are serving an important need for those of us with broken hearts and searching for answers where we know there really aren’t any. You’ve certainly helped me to heal. Thank you again. I am very happy to read this. It was very nice meeting and speaking with you Martha, and thanks for your insights. I can say many points you raised were quite telling and I am appreciative of your thoughts for future contemplation. I want to thank you for your dear help in my healing and recovery from Hermann’s death. I listened again to the recording, which came out just fine, and I think I have food for thought for some time. I am very grateful to you, Martha, and I have to tell you, what a delightful laugh you have. When I listened to the recording, I felt all bubbly and light when you laughed. Your laugh dispels darkness! I am keeping you in my prayers, and when I think of you, I smile. Many of your visions for me were accurate. What was spot on today: I think your past life comments for me were interesting, particularly my praying in a cave, as well as the comment regarding myself and Jesus. The part where you picked up on numbers was also interesting, my little sister has indeed had some rather serious health issues, and I did have an ectopic pregnancy situation with my most recent ex-girlfriend;perhaps the baby boy situation you referenced. Also, I am very creative, and plus you mentioned New Zealand and I was, in fact, recently with a wine client where New Zealand was mentioned as a place of business expansion. Yes, when you wrap up the blonde boy, the numbers, New Zealand, etc., it was very interesting how close you were with your insights. Plus, I recall now that you were accurate with your comment about my father. You are incredibly fortunate to have your gift and you are a blessed soul. I found our time together very helpful. As to your message, I do see that I have been so dependent on Hermann and your words make sense to me. I can not know about Oneness, or learning about Self if I am dependent on anyone, especially my husband. You said it was time to let that go and gain in strength. I thank you for telling me like it is and I will have to grow into this. Yes, Isakk he is very sensitive and he is very good in math. It involves computers, math, and all that stuff. Isaak is just as you said, an old soul. Thank you, again, Martha, for taking so much time and energy for me. I am so grateful! From my heart to yours.. Thank you for these comforting words about Petey and if only I could really express how moved I am, I would be completely thankful! So I thank you again, dear Martha! I include you in my daily prayers, and I see you happy, warm, and with beauty all around you. The Angel of Beauty loves to hang out with you! You are so blessed, and I am blessed having the chance to work with you. Thank you, also, for your dear honesty and being forthright. I appreciate it. Oh, you are so right-on! Isaak has the stubborn streak. So, that is why I am proud of my son. He is indeed, an old soul. Thank you for your psychic impressions and words about Isaak. I am glad to have a part in his life. I thank you for sharing with the world your NDE experience!! Thank you & lots of love to you!!!! I believe in your testimony. I have been trying to increase my spirituality more. I enjoyed reading your testimony. Thanks for the session yesterday. I do feel lighter, different. I haven’t had a “pure” or soul-centered look at my life in a long time. It was very refreshing. I still feel it and want to make life changes. I had a session with Martha while I was/am undergoing one of the most enormous crises I have ever had in my life. Right now, like millions of Americans, I am facing facing potential homelessness. I couldn’t even really pay attention during the session I was so stressed out, but was impressed with her enormous kindness and self-assurance she displayed in her depiction of the situation and the outcome. After the session, even though it was in the afternoon, I fell into a deep sleep, and woke up more refreshed than I had been in weeks. Also, when I listened to the tape that she made for me, I realized how much more wisdom she had displayed and advice she had given than I had heard in my distress, and really how wonderful the session had been. Although my monkey mind has picked up again, Martha said things would come through in the end. Martha, I’ll let you know about the positive conclusion you predicted when it happens! Thank you very much, Martha!! You are right about seeing an abscess regarding my kitty! Honu has a deep wound and infection. I have wanted to contact you for the past two years! Out of all the things we spend our money on, to me I can’t think of money more well spent than this. I can’t believe its already been two years, but your reading back then literally changed my life; I would be so excited to have another again since I have so much to ask and I could really really use some guidance at this point in my life. Keep helping people like me. It’s a blessing. I am still high from my appointment with you and I am feeling really good. I am in Hawaii now! Blessings and thank you, thank you, thank you! Oh, Martha, thank you. I’m sitting here feeling this strong, overwhelming energy of gratefulness, and what else I’m not sure, but there’s these big strong emotions. I just wanted to write and say thank you so much for helping me. My mother and I sat together last night and discussed my session. We realize that so many things that you spoke of yesterday are true. We have been overwhelmed with joy regarding your connecting with my precious son, Zek, in heaven. I am growing spiritually (that’s for sure). My best friend and I, so agree regarding your picking up on Zek’s past lives and also how you said that his transition to heaven was easy and felt familiar to him. I get it now, his soul has been here before. Wow. How exciting. It all makes perfect sense to me now. I can’t wait to get the tape of our session, so I can hear it again and try to put more of the pieces together. God bless you. Thank you SO much for the beautiful reading (our appt. ), you just did for me. I appreciate it so much! I love the beautiful information from my guides and angels! The vibrations were so very high. I had tears flowing down my face as I sat and quietly received the information. It is so nice to receive this energy in the form of such beautiful, coherent words and sentences, along with the beautiful energy I was feeling! You/they already answered some of my questions, before I even got to my questions! Thank you for so much support, encouragement, and LIGHT! I have been thinking all day about my recent phone session with you and I wanted you to know that I am still processing it all. I definitely get a “glow” after a reading like this. You are a sweet and sincere lady and I feel like we have a connection, perhaps from another time or place? Of all the NDE accounts, not many stand out, but yours is one that really blesses me. You truly have a gift for empathizing with people and understanding how to read them. I am working on connecting with that woman in spirit that we both felt could be my great grandmother. I get a warmth all over when I start talking to her, hmmm. This could be interesting! Thanks again, Martha, for your time and for the wonderful reading! I will process this and think about other questions I may have for another reading soon! I have really been touched by your kindnesses also and I look forward to talking with you again, soon! Wow, you did it again! When you said my checkbook would be in my purse, I didn’t think so, since I already looked carefully there. Yet, there it was. I found it tucked away in a side pocket for safekeeping. It may seem like a no-brainer, but I rarely carry my checkbook in my purse, so this surprised me. Thanks once again for helping me locate a seemingly lost and important item. Thank you so much for the reading you gave me yesterday. It was very enlightening for me and I very much appreciate it! You have been on my mind since our wonderful session yesterday. I really loved experiencing your gift and I felt such insight, clarity, confirmation and joy from the reading. You have such a lovely way of relating and expressing from your richly loving heart. I was very touched by several of the issues that came up and they stayed with me all day, like an angel sitting on my shoulder; very tangible. I also feel today that I am feeling an opening and deeper clarity about my current life, vision, and soul work. I am seeing how they all overlap and are here now, functioning in this dimension. I know the insights are directly related to the reading from you. I will be excited to get the tape of my session to listen again on a deeper level. I will greatly look forward to recommending you to friends whenever the opportunity presents itself. First, a big THANK YOU! This is some very, very good work you have done. I appreciate it very much. What you said feels right on the mark! The vet told us that it was likely his spleen causing the issue; you are so right. Thank you, thank you, thank you so much.. We also felt that it would not be so serious. Well, you were right about that situation. I am ready to move on and work on me and my happiness. Thank you so much for the session today. I am still very amazed by your clear vision of the yellow sunflowers that came from Missy as a greeting to me and the fact that you had no knowledge that those were exactly the same flowers that I put on her grave! Amazing! Hearing all of the wonderful messages from spirit and Missy, through you, was wonderful and reassuring. For me, the flowers were a HUGE confirmation that Missy sees me and is actively involved in spirit life and in visitation. And of course, it was beautiful sentiment and imagery of my beloved pup. It turned out to be really awesome. You also said that you felt like this reading would be different from the others. Well, I didn’t mention it either (for time’s sake), but before you called, I prayed and asked my guides and angels to come in, and I asked for Missy, and the angels that have charge over Missy, to bring Missy through for us. I also asked my guides to come in and assist and for you and both of our guides and angels to work well together. It all happened! Thanks again, dear one! You were terrific, truthful, and honest. A good speaker and good and lovable performer. It was a great pleasure and honor to meet you. Good luck with your life mission. When I came to you, my life was full of apprehension and fear. I didn’t know which way to turn. Yet, after speaking with you I finally found peace, resolve, direction, confidence, and positivity. Mostly, now I can at last FEEL that God is constantly unconditionally loving toward ALL all of us and that includes me. And that this is forever. Always. No matter what. And, no matter when. I always “knew” this, but I had a difficult time “feeling” it. Somehow I forgot, but you reminded me and remedied all my doubts helping me to reach a higher awareness intellectually, as well as emotionally and spiritually. Your words provided insight, wisdom, encouragement, enormous genuine assistance, and the Light’s truth. So, I am so happy and grateful that I did end up opening myself to the healing you inspired and really offered. I insist that others trust you fully too, coming to you with an open heart and mind, because you’ve been blessed with a gift of service that is surely good, holy, and utterly effective. Thank you, Martha. I just wanted to say a big thank you AGAIN for everything, Martha! You helped a whole lot!! I really appreciate all of the time you spent, even going over time. And your being patient with me. I am so grateful to you and that we met! All of my love to you, Martha! I just finished my first session with Martha; she was AMAZING and right on target. Martha is easy to understand and works with you in the direction that you want to go. She described my personality to a “T” and also brought through a loved one that had recently passed. Martha’s energy is steady and calm and it felt as though I had known her for a life time. I am sure we will connect again very soon. You’re the best. Boy, that explains it, doesn’t it! Thank you for putting my mind at ease. Now I can move forward courageously. Next time I decide to hide $1,000 in cash in my home for safekeeping, I will think twice. However, I ended up finding the money thanks to you. It was right where you thought it would be, hidden in the armoire in my bedroom. Thank you so much! I keep forgetting to tell you about something I found out after my last appointment with you. Remember Hannah’s reference (coming from spirit), to Lief Ericson? When I told David he said that he was a charactor on Sponge Bob Square pants that Hannah & David used to watch, when she was in the hospital. Also, Lief Ericson was an Norse explorer. Not sure what Hannah meant; maybe we will be exploring a lot more of this beautiful world. Also, with Gabe you said he picked up something from the outside and his spleen was indeed involved as you indicated. Our naturopath said he had microscopic parasites in his stomach & spleen inflammation. He has been on supplements for that & is doing much better. I thought you’d like to know how true these things were. Thank you so much for all of your help and guidance. I appreciate your comments, which put me at ease. What you said about my blood pressure is right on- I tend to be a little borderline, so I need to keep an eye on that. Thanks also for letting me know that I “have a lot to live for.” This was very comforting. Your readings have given me incredible insight and reassurance and have shed light on a lot of issues that I have been dealing with. Your readings also have reminded me of the many wonderful things that I have to look forward to and have given me practical information and insight on how to overcome many obstacles that I have been dealing with. I was able to take the information and recommendations that came up during the session and apply them to my life with great success and I have been able to overcome much anxiety and worry. Many thanks again! Have a wonderful day. I feel it was a wonderful reading. You have really loving energy. How incredible that you asked me if I feel like no one listens to me. I say that almost on a daily basis. It has been a feeling I’ve had for awhile. Thank you for sharing that with me. Amazing. You are so blessed and it was such an honor working with you. I will keep in touch. I have just seen your video on Youtube and I am inspired. I totally believe your recollection and it has brought a total sense of peace and tranquility to me. Please write a book. You have a powerful mind that tells things in a very gentle way that makes one remember. It’s as strong as one famous channel I know and yet different. Thank you for sharing these gifts. Wow! My email reading was simply amazing! Despite having only spoken for a moment on the phone, and exchanging a few brief e-mails to schedule the reading, you were able to hit upon all of the important themes of my life. This was my first intuitive-type session and I was blown away. I had a friend read it and she too, was blown away! As you probably saw in the reading, I am a strange mix of both mystical and skeptical, so this is something I’ve always been a bit hesitant to try, but not totally closed to. The fact that it was through email and that we had very minimal communication before hand makes it all the more amazing how many direct hits there were. And it wasn’t just the “hits”, it was the overall feeling of it- it was me. As for the details- all of the past lives you mentioned I recognize very much, as part of who I am. Your use of the quote “not your average earthling” jumped out at me and also your mentioning a connection with the stars, since I am fascinated with the universe. I am married to a woman with two girls who is a dyed blonde (you said “blonde?”). The reference to “dance and sing” also connects as dancing is something I had identified earlier in life as something I needed to do and I actually signed up for a dance class at one time, although I ultimately stopped going. The connections go on and on- the only things that don’t connect yet, are the references to Brazil and the Philippines. I think as far as the career question goes, you definitely hit on the spirit of my question. You will absolutely be getting referrals from me! I’m sure there is another session coming in the near future, once I integrate this one and figure out what my next questions are. Thanks for the very insightful reading and advice. My monkish, rather cloistered past has come up in other readings, which confirms your deep connection to Spirit. Your profile of me seems quite accurate: an inquisitive, sensitive, somewhat stubborn guy, trying to break free from his monastic past and do what he really wants to do. I’m thinking Idaho came up for you, because there’s a potential relationship with a woman who used to live there. I may need a relationship reading from you at some point. Given your/Spirit’s advice, perhaps sticking with my current high-tech career and part-time Reiki practice, while working towards a career as a hospital chaplain may be the best approach. I will need to get my feet wet and see. A couple of things you said in the reading, that did not make sense to me at the time, now make sense. You asked if I was short of breath. I said no, but that I had been swimming and I possibly was tired from that. However, I do have problems with breathing resulting form a level four cervical fusion on my neck. (When I look up my windpipe (trachea) is 14 millimeters; when I am in a neutral position, it is 4mm, and it closes off when I look down). I have learned to live with this. Regarding someone with initial G that you tuned into in spirit, my father’s name was Glen. Also, for R or Robert that you picked up on in spirit and seeing him riding horses, he was my favorite uncle and godfather. My father and Robert were brother-in-laws. I asked my stepmother if she knew if my Uncle Bob rode horses in the Boefer patrol in Texas and she thought that early in his career he did, as you indicated. You were also accurate in specific situations regarding family members, etc. WOW! It’s so wonderful to have someone I can TRUST to talk with. Your first comment regarding my personal situation was amazing. Particularly since I had initially thought about putting that very question on the list, but then decided not to. So what happened? The very first thing you said, answered that very question! That says that you’re the “real deal” and I’m so thankful to have “found” you. I’ll be back, that’s for sure! Thanks!! You are truly gifted and are truly a gift to the world! It’s so nice to hear from you after all this time. I tell the story of how insightful you were for me a lot, particularly your prediction that I would be doing a lot of speaking. I now spend three months a year training veterinarians (and sometimes just cracking open their minds a little), around the world. Right now, I’m in Hong Kong finishing up a session. You also said I would be a “citizen of the world” and you were right. I’ve been to Italy, Germany, Taiwan, Hong Kong, Singapore, Denmark, all over the USA, Brazil, and England, just to name a few spots. So you called that one right, also. Karen never showed up that summer, because she decided to move to Seattle instead. But she interviewed for jobs in Portland, and was at the same time thinking of dying her hair blonde to save her marriage by perking up her husband’s interest. She decided not to, in the end, and stayed a redhead. We worked all of this out after we were married, so I didn’t have a chance to share that with you, since by then we’d moved to Canada. Again, you hit the nail on the head. So, there you go! Nice work! As far as I’m concerned, you’re the only game in town when it comes to helping people out in this fashion. Now that I know where you are, I’ll send you even more referrals. Until next time, all the best..
I’ve been on an NDE kick lately and your YouTube video, recorded at IANDS, is my favorite. I love your energy and I hope to hear from you! I listened to your video “In the Realm of God” and the way that you explained your NDE experience. I have listened to other videos on NDEs and they all pretty much say the same thing. However, you explained your NDE in a way for people to better understand the experience and give them hope. Thank you for your time. WOW, I was really touched by your YouTube NDE video as I have been, in recent weeks, searching for ways to connect my “heaven on earth” experience; my desire is to walk and live in the love and light experience. I have watched several NDE YouTube videos and each one was uplifting, but yours really stood out for me. I felt like you were talking directly to me. I saw your NDE testimony through YouTube and I was very inspired by your story. I just wanted to say that I saw you on YouTube and your video clip is one of the most inspiring near-death experiences I have ever heard about. You sure are making a difference out there! I truly loved the part of your NDE video when you expressed that this is all so much bigger than any religion or belief system. It sure is. I just felt called to write to you because out of all the NDEs that I’ve heard, yours is the only one that matched my internal knowing. I’ve always known that I will one day fly through the universe and cosmos, so hearing your words really brought great joy and smiles to me. Your NDE story is amazing. It certainly had a great impact on my life and I’m sure it has on many others. I have watched your video many times and I can’t thank you enough for sharing your beautiful story with us in such a genuine and positive way. On this path that you’re on of helping others to accomplish their life mission, I want to wish you great success. I will always think of you as an amazing, spiritual person who changed my view of life and death. Once again, thank you. I was moved by your NDE experience. Thanks for your sharing your wonderful NDE experience which I find very reassuring to hear. Many thanks. Thank you, for your time Martha. Peace, light, and love, love, love to you!!! Thank you! It was nice to have insight from a different perspective. After we talked I have such peace. It gets me back where I believe I know I will be okay. It was so nice talking with you. I wish I could sit and talk with you for hours. You give me new insight into things; you are a good teacher. Thanks again for the confirmation about my beloved. It was so good to talk to you again! I had forgotten how much I liked you. My daughter and I still remember our readings with you. I really admire your work. I am grateful to you. I am grateful that I felt compelled to see you. Ahh! Things are rolling. Thank you for sharing your gift of insight with me. Thank you very much for your love and caring of my sister and her family. She is very fortunate to have you in her life. It was great talking with you, as always. I appreciate all of the advice and info. Thank you for your love and kindness. Have a cup of coffee on me! I am totally inspired by your NDE experience. I just wanted to let you know that you NDE story is AMAZING and INSPIRING!!! By the way, I LOVE YOUR GLASSES! They really suit you! Thank you for the tape from our session, which I played yesterday on returning from Scotland. The reading was very helpful. It calmed me down a lot and helped me with the long journey the following day. Dad did have bedroom slippers by his bed. Also, I bought a box of Vicks VapoRub and the directions for children, stated to gently rub away the symptoms of your child’s cold with your tender touch. That was very touching for me, given the explicit nature of what you picked up on from my past, from my dad now in spirit. Thanks once again, Martha. I feel as if I have been given a lot of unseen help this last week. Thanks for responding to my great need. Much appreciated. Thank you so much for the reading today. It was so wonderful to hear so much from Hannah in spirit. I wish I could see what you saw. It helps me to hear her say what her soul’s mission is here on earth and the amazing work she is doing now. I wanted to let you know that the reading you did for me was wonderful. You actually answered my questions before I asked them! The things that you told me have brought a sense of peace and healing into my life. I think it was destiny that I found you. You are so compassionate and understanding. I feel you are an amazing soul and all who talk to you are blessed. 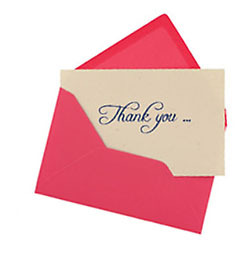 Thank you so very much for the wonderful reading you did for me today! I felt the most beautiful and loving energy when you were tuning into my guides and angels as you began the session. I especially loved all the information you channeled in the beginning- it came through so beautifully! I know that you were receiving accurately, because some of the details overlapped what I have been getting from my own sources (like the bits about finding a balance in this life, reminding me to take time to look after myself, and information about my diet). I loved all the insights into some of my previous lives, since that’s an area I haven’t delved into much. My own guidance has told me that I’ve been a healer in many lifetimes before and you certainly verified that (without any input from me!). I also appreciated all of the practical and loving guidance you included; it will be very helpful as I continue on my path; I really appreciated the message that came through you from all of my guides — it helped me to know not to worry too much about the “wrinkles” over the past days, because I knew that no matter what my day looked like, I was still on the right track. (Not to mention the beautiful energy that came through with it all, which also helped!) I am looking forward to receiving the tape so that I can listen to the reading again! I just wanted to let you know how I’ve been doing. I’ve been feeling so much better spiritually. I really do feel lighter, and much more open. I swear I can feel God’s presence more and I’m straining to hear anything he has to say. Speaking with you really seems to have opened something up and let me be much more receptive. Maybe it was just being able to tell you all I feel and believe, and letting those words be real and in the open and not just inside of me. You will be pleased with my comments. You were right, I am a highly sensitive being. I have always felt that I am different, I am a loner, and my mother has passed on. (It was a surprise to hear she was there for me). You picked up on people with initials B, J, and M, and here they are… (edited out due to lengthy comments). You also said that there was a female in spirit. This is quite easy, because it is most likely my cousin Martha (yes, Martha! ), who died about two years ago at age 96. She was always very good to me as a little boy. I have only good memories of her. You mentioned something about prison in a past life (and vibration now). Even in this life, I have spent time in prison, in east Germany. (The West German government literally bought me out of prison, paying for my release as an act of humanity). About my old cottage, you were right in that more than one person has been involved, there have been structural/plumbing issues, and yes, an old lady lived there in the past. After hearing the tape, you really answered all of my questions. You gave me peace of mind and tranquility in connecting with my father. Thank you for everything. You are really a blessed spirit and a kind human being. I hope you place this email in your blog. The knowledge and advice that you so kindly shared with me in our session has already begun to really play out in my life and I am just absolutely loving it! I just have to say that I still feel really enlightened and joyful from our session. I feel more open to life, if that makes any sense- more calm, more peaceful, and also very confident towards my aspirations. I had been wondering for awhile what an “awakening” actually meant and now I think I get it (in my own perspective anyhow). I, um, just feel more aware of the life around me, how my consciousness affects others, and I am more susceptible to the natural coincidences in my life. Most of all, I feel very excited about the “other side” and I can’t wait to further my research on it. Well, that’s all. I’m so glad I came across your video on YouTube! Thank you, Martha. I am so blessed to have found you. My time with you was the most inspiring experience that I have ever endured. There are not enough words to explain how much light you have brought to my life. Our session left me with a profound joy that has absolutely lifted my spirit and has given me a sense of confidence that I have not felt in a long time. I’ve had readings done in the past that I found useful, but never satisfying to my soul and I really feel that you touched and took me to a place that I have so much longed for. My mind feels at peace and the knowledge that you shared with me really helped me to identify with my inner self; everything we talked about really helped to put the synchronicity of coincidences in my life into plain perspective. In short, wow, you helped make sense of so many things I have often wondered about throughout my life. I can’t express enough gratitude; to me, our session together was a new beginning to my life of spiritual exploration. Thank you so much for an amazing reading! I don’t know that I’ve ever had someone come through with so much clarity in a reading before. You made me feel at ease immediately, and the information, along with your support, helped me to make sense of so much that’s going on in my life. Thank you for sharing your gifts and your light with such truth, compassion, and joy. I’m really looking forward to receiving the tape, so I can listen again and again. You have such a clean, clear energy, and I appreciate you deeply! Twelve years ago when I had a session with you, you saw a strong association for me with a large, beautiful garden. I emphatically said “No! That can’t be me. I can’t even grow a house plant.” You insisted, saying you clearly saw two women, possibly nuns who worked in this garden with great care all day long. They were amazing gardeners, possibly to the point of obsession. We concluded it may have been a past life. Of all the things we discussed, this was the only thing that didn’t make sense to me. I now have fallen in love with the garden and I am learning how to be a gardener. About a year after purchasing the house, your reading suddenly came back to me and I fully realized it was 100% accurate! I slept so well last night, thanks to your reading. I feel so lucky to have found you and I really appreciate all the extra time and energy you gave to me. You have no idea how much you helped me push that lingering stuff out. Everything settles into a different perspective. I just feel so content and I want to share it with everyone, so know that it’s being passed on. One final note, you have a great sense of humor! Nancy and I wanted to say “Hi” and let you know that your name comes up often in our conversations and experiences. Many of the things you mentioned to us in consultations have come to be, and somehow, hearing them in advance from such a gentle and gifted woman as yourself, allows a better understanding and certainly an easier acceptance of life’s twists, turns and winks. We wish you the best that can be. My reading with Martha gave me tremendous encouragement, a sense of peace, meaningful insight, and guidance that has proved invaluable. Her advice regarding my health, personality traits, and life struggles was so exact; you’d think she’d known me for many years. I sincerely believe that she has been given a true and divine gift to share spiritual truths and God’s love in a unique way. Thanks for speaking with me on Friday. You were “right on” for both my daughter and myself. Amazing how you can do what you do. I’ve been thinking about the session ever since and I’m very happy you record everything. I’m looking forward to hearing the tape when it arrives. I just wanted to thank you and our “friends in spirit” for the awesome work that you do. Sorry, I can’t think of a more fitting word. I may have been okay without ever having heard of you, but talking to you sure makes things easier and so much more hopeful. In whatever profession I end up in, if I could ever inspire people one-tenth as much as you have, I’d be a very content person. I am so glad that you tape your sessions because each time I hear them, I hear so much more in them. Some things that you said resonate differently at different times and some things I did not even remember your saying during the session. It’s very helpful and always a joy to talk with you. So here’s from one Sagg to another, you’re the best. I can say with certainty, that you are the one person that I am grateful for your influence in my life. I am glad you chose to stick around on this planet with the rest of us. Thank you for your wonderful presentation. I appreciate that you spoke from your heart and intuition, not just from your head! You can be an engaging story teller-funny, poignant, insightful, humble, and articulate. I was captivated watching you; an inner grace and beauty seems to surround you as you speak. You were truly being authentic and not saying what you think we wanted to hear or what you’ve heard others say. There were moments during your sharing when the rest of the room just faded away and I was right there with you on the other side! Thank you for the opportunity to travel to parts of the other side I had not seen before. I appreciate the old fashioned values of respect, compassion, kindness, and consideration that were reflected in your sharing. I was very moved by your story. You are truly a compassionate soul. I hope I have not said anything that offended you or inflated your ego! I just tell others when I am touched, moved, have gained valuable insights, or have felt inspired with loving feelings. Perhaps this will help others! I just wanted to thank you for all of the help you have given me over the years. The beautiful readings and your encouragement have really helped my confidence grow and have helped me to expand spiritually. Whenever I listen to my old tapes of readings, I see what great information I was given and how it came to fruition. I remembered asking you about my mother’s health. I was concerned about our move and her still being in Portland. You said you were getting the number three. Whether three days, weeks, months, or years you weren’t sure, but the number three came up. Then you went on to tell me that we were not to feel guilty if we moved, meaning we would not be the cause of her death. It was three weeks and three days after my appointment with you, that she died. I found great comfort in your words about our move not causing her to give up and die. The timing in seeing you and hearing that was vital! I wanted to thank you in a letter for taking the time to help me. In November, I called you in a panic looking for my cat, Darby. You were in a hurry that evening but you promised to call me back later. You did and I am grateful because you put my mind at ease. I ended up finding him about midnight that night. He had been trapped in my neighbor’s garage for five days. You had said he was stuck somewhere and that he was trying to get back to me. It was true. I appreciate your time and effort. Thank you. Thank you so much for your assistance and guidance. I am more in touch with my inner voice now. A person has come into my life that you mentioned in our session. I just wanted to say thank you. Your guidance and words were of great comfort to me. You’re right; whenever I listen to the tape, new things come up. I feel really good and I am getting stronger and happier each day. Thank you for your help. It had an impact I did not expect and I am glad I came. I am sure I will see you again. Thank you so much for the reading. I feel more empowered and hopeful, and less alone and I feel loved. Thank you for being who you are and for sharing your gifts with others. As always, whenever I talk to you, I am left with wonderful feelings and thoughts to understand and to act on. Thank you for the reading last week. You confirmed many things, shed light on other things, and gave me things I need to do. I wanted you to know that something you said, my mother had also said. Thank you for that. Thank you for working with me recently. Your voice is very sparkling and clear. Major powerful beings are present in your interactions. I have often had compunction to go to the desert, as you suggested. You had a sense that my father would die in the summer months and that happened last June. You also told me that my grandmother was around me in spirit and since then, I’ve felt her presence as a wise being. I am hoping for my daughter to have a session with you. We’d like to thank you for all of the help you have given to our family and friends this year. Your help has been invaluable. I just wanted to say thank you for the great readings. They brought me a sense of peace that I haven’t had in a long time. Bless you for being so kind and helpful. I wanted to write and thank you for the wonderful session and for taking extra time with me. You have been a great help and I am so thankful that I found you. Until we meet again.. Thanks so much for the reading on Sunday night. It was so right on target what was being channeled. Brilliant, bright blessings to you. I am so glad you are a part of my life. Thank you for taking me through a meditation in January. It was amazing! It enabled me to clear my head and to let go of a lot of unimportant business that I had put so much value in. I still feel the effects of the release. I am ever thankful for your wonderful guidance. I do look forward to meeting with you another time for another reading. The chocolates have arrived! You deserve the best there is. Enjoy! Thank you forever again for taking me all the way through my guided imagery. It was VERY releasing and my life is about to change! It has and will continue to. Your energy is very strong and beautiful. I thank you for allowing me to share this experience. After our session I felt much more confident in myself. You practice with a lot of spiritual ability and help others to get through their troubles. I just wanted to write and to thank you for the reading you gave me in late January; it was wonderful. I want so much for my life, to go so far, and to do great things. Your reading gave me the added push to invigorate my confidence. For that and just the experience, I thank you so much. It was wonderful to meet you and I really enjoyed our session. Thank you for your time and understanding. Thank you for taking such a long time with me on Monday. I appreciate the care with which you worked with me and answered my questions. I’ve listened to the tapes again and there is quite a bit to mull over! Thank you so much for all of your guidance! It’s been a great help to me in the last few months! I really appreciate it! I am really looking forward to speaking with you on Tuesday. I’ve listened to the tape of the last session over and over again and each time I hear it, I hear something new in it. Sometimes I can’t help crying. I know you already know this, but what you are doing is giving so many people, like me, help, and clarity. Thank you again, in advance! Thank you for your help and concern. You are a true friend and an angel sent from God. Your helpful and enlightened advice is taken to heart. Keep touching lives! I appreciated our session together and enjoyed the time when you were here. Thank you for seeing me yesterday. I left with a feeling of new enlightenment and today I feel great energy. Your reading was very informative and interesting. How great to talk to you! I knew you would “ring” my bell. Thank you so much for the reading. I intend to work on the areas we discussed and I feel more comfortable and encouraged since talking with you. I enjoyed the session at Journeys. It was a pleasure to meet you. Bless you. It was good talking with you. I am so thankful you were given a chance to stay with us on earth awhile longer. I want to thank you for the reading you gave me in September. It helped me tremendously and you were so right on about how fast and quickly my life was changing! Thanks for the helpful feedback last week. The dialogue is useful and that issue felt so right on to me! Words cannot speak of my gratitude to you for your love and time yesterday. Thank you for staying on earth a little bit longer. Bless you for tapping my spirit! Let’s count our blessings! It was great talking with you as always. You described what was happening with me so accurately. I felt much more at peace and calm the evening after the reading and I slept well. I am so grateful for you. Thanks so much for your insights and vision. It’s kind of wild; new doors are opening. I am feeling a new love or that some of my internal emptiness is filled. You mentioned that we are where we need to be. I am learning to slow down, to look at my options, and to channel this gifted energy. You helped make this possible. I know you are happy for me. Thanks so much for the reading. It helped clarify so much for me. I just wanted to say thank you for bringing such wonderful light into my life and space. I am so glad that the universe brought us together. You are a wonderful woman. Thank you for being. Thank you so much for sharing your gift with me. I was at New Renaissance Books last Friday and spoke with you at your workshop. I was so excited to be there I could hardly sit still. Thank you for your time. To be around people, hearing their experiences, and learning how to develop these abilities is a great help. I am sorry we did not know you sooner. You are a wonderful spirit. We all appreciate your willingness to help us and your sensitivity to our feelings. May your days be filled with light as you bring the light to others. Thanks for inviting me to your solstice celebration and spiritual clearing. I am starting 1990 with lots of freed energy. As you indicated to me back in 1984, my life was about to take a radical turn and it did. I am so glad we had the opportunity to meet, no matter how brief. It seemed to be the quality of contact that is never forgotten and stays in touch at another level beyond normal everyday awareness. Your wisdom in your “old” age is quite together. Through prayer I am still “knocking” out the pastels and it is paying off. Seems in slowing down, I am running into experiences quite profound. Funny how my goals are becoming clear after two years of confusion. Would like to give you a big hug. Thank you so much for your time, energy, and love. Please accept this small gift for the emergency phone call today. You helped me so much! I’ll call for an appointment as soon as I get on my feet! Thanks again! Hope this card gets to you. I’ve never felt so full of direction. I always feel really joyful, happy, and loved after I have had a session with you. You totally connect with/to the soul, which in turn, helps me to remember my essence and who I really am. Which, it seems to me, is the most important aspect of your work. (All the words and information about the physical plane is just for our heads). Your sessions are very positive and full of light. I thank you again for your help and guidance. After I had a session with you, I decided to apply to school and did it within one week! I listen to the tape of our session to remember and to get in touch with my feelings again. Also, I asked my mother about my grandmother’s death. My mother told me that my grandmother had had a kidney problem which surprised me because I remember what you said in the session. I want to tell you that I got the facts from my mother. So true. I was happy to talk with you yesterday! The last time we spoke you made a wonderful impact on me. I felt spiritual! I look forward to speaking with you again on Saturday. The diet info is especially exciting to know what has been dragging me down. You’ve helped me sooo much so far. I want to thank you for your advice. Thanks to you, I waited on moving back in December. By waiting, I met two wonderful women whom I moved in with. I feel that I am in an incredibly nurturing and caring household and environment. Thanks for everything. I really enjoyed our meeting. I felt so cleansed and like I was getting in touch with who I am. This was a true experience in the direction of getting more and more in touch with the real me.